PACIFIC OCEAN - The submarine tender USS Frank Cable (AS 40) departed Naval Base Guam March 14 for a scheduled underway period. "Our primary mission is to conduct military-to-military engagement, also known as theater security cooperation, with our regional partners," said Capt. Mark Benjamin, commanding officer of Frank Cable. "Our secondary mission includes community service and community relations with our allies; and repairs to U.S. Navy surface ships as opportunities present themselves." 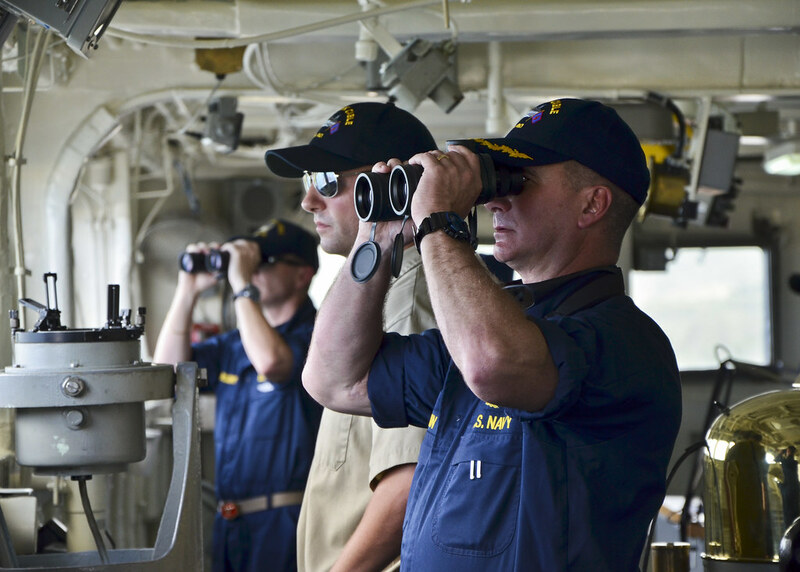 During this underway period, Frank Cable is scheduled to visit several regional partners in the Asia-Pacific area allowing its Sailors to participate in various community service events and have the opportunity to interact with host nation navies. This will allow Sailors from both navies to learn about each other's service, culture, and way of life. Sailors and Military Sealift Command civil service mariners aboard Frank Cable will also increase their knowledge and the ship's capabilities by conducting Fueling at Sea (FAS) and Vertical Replenishment (VERTREP) at sea evolutions. "FAS has not been conducted onboard Frank Cable in years," said Benjamin. "Both of these capabilities (FAS and VERTREP), are enablers to support a larger range of mission priorities than we have supported in the past." Frank Cable Sailors work side-by-side with their civilian counterparts and one of Benjamin's goals is to increase integration between these two groups. "I intend to start integrating these teams where it makes sense, during the conduct of operations and evolutions like line-handling, FAS and VERTREP," said Benjamin. Frank Cable, forward-deployed to the island of Guam, conducts maintenance and support of submarines and surface vessels deployed in the U.S. 7th Fleet area of responsibility.